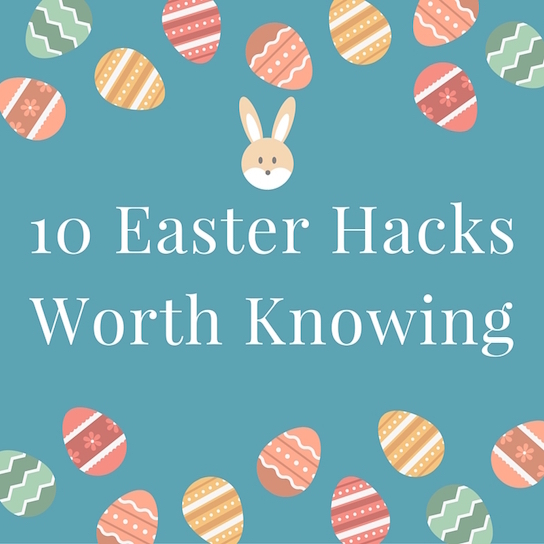 Make your own Easter basket grass! The plastic shreds you buy in the grocery can be fatal to children and animals if ingested. 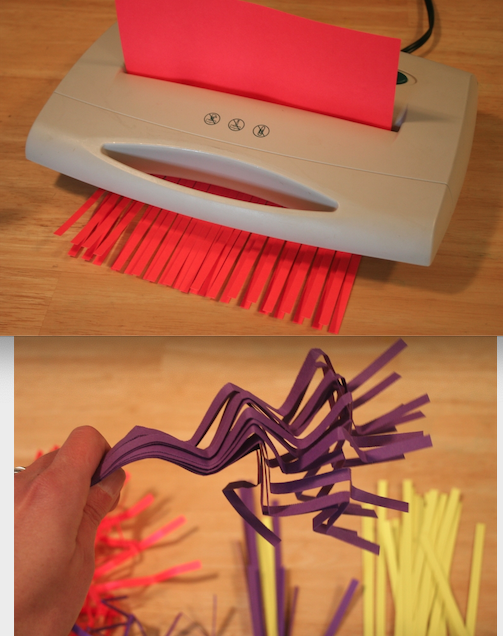 Skip the killer store-bought-strips and make your own Easter grass by shredding colored paper then crumple it! 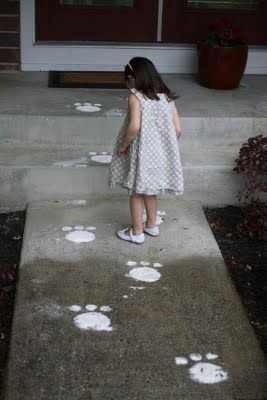 Make Bunny Tracks - I LOVE THIS! I can't wait to see my little guy's face when he sees the Easter Bunny hopped into our house! 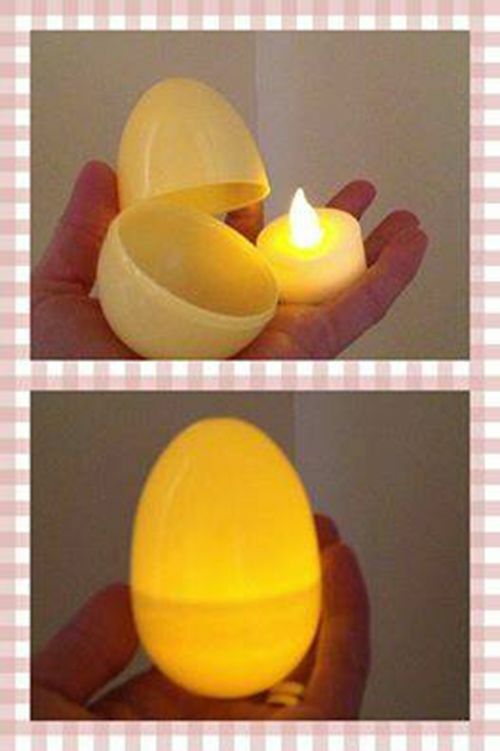 All it takes is White Chalk! 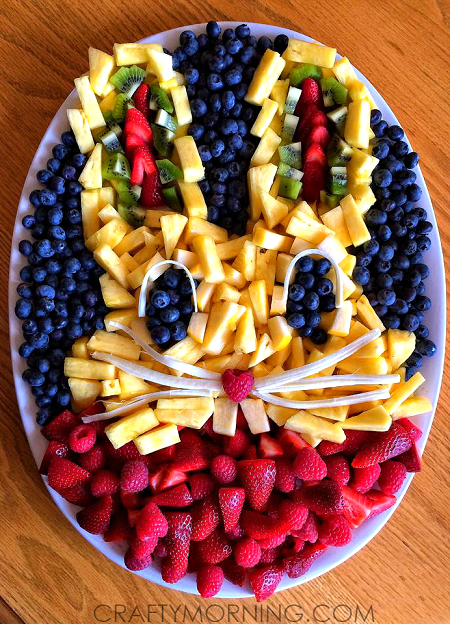 Crafty Morning's Easter Bunny Fruit Platter is my new favorite Easter treat! 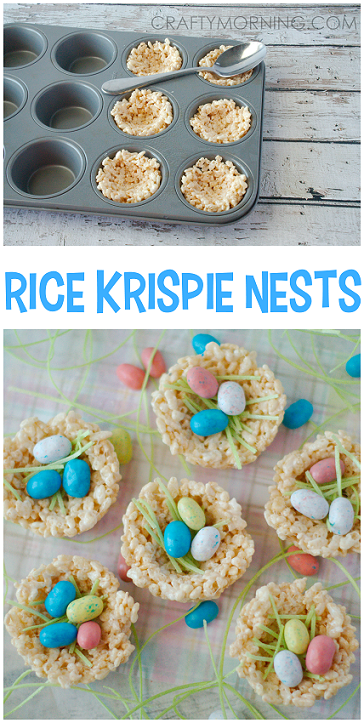 Another little gem from Crafty Morning are these Rice Crispy Treat Easter Bird's Nest. Mmmmmm Breakfast. Easter Bunny Cinnamon Rolls from Betty Crocker.. 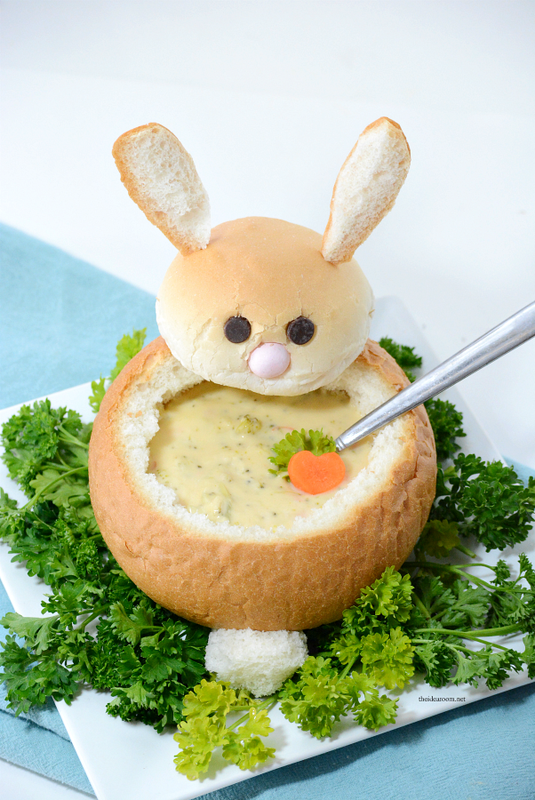 The Idea Room's Easter Bunny Bread Bowls are SO CUTE! Goldfish Party Carrots - I'm making these for The Kid's Easter Party at school. 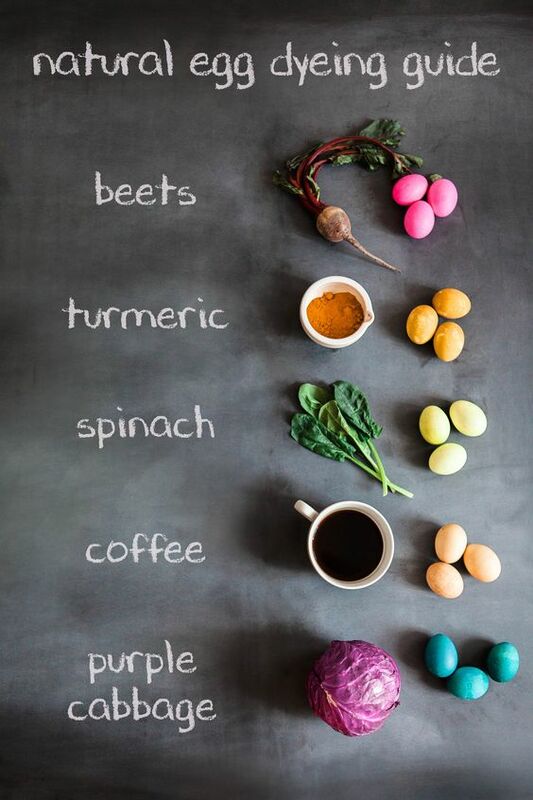 Dye your eggs with All-natural Easter egg dye.